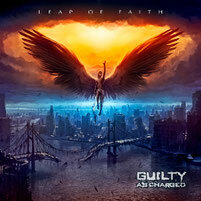 GUILTY AS CHARGED is a four piece Heavy Metal band from Belgium, formed in 2008. The band is offering Heavy Metal with technical ability, which has a strong influence of Thrash as powerful and edgy. 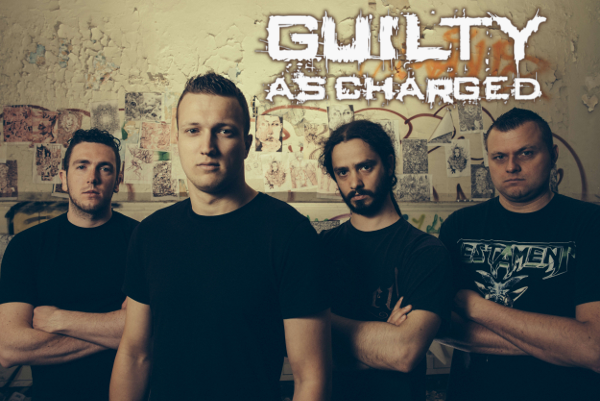 GUILTY AS CHARGED has released the 5 track EP called "Boxed In" in 2009 and their first album "Leap Of Faith" in June 2014 independently. The band has played awesome shows with some great bands like Soulfly, Helloween, Death Angel, Channel Zero, Pro-Pain and UDO so far. They also have appeared at Alcatraz Metal Festival 2011 and Masters @ Rock 2012, made a good impression. GUILTY AS CHARGED has shows regularly in Belgium, which lead to recognition amongst other bands and fans. Their latest album "Leap Of Faith" is mixed and mastered by Dan Swanö (Witherscape, Nightingale, Second Sky) at Unisound in Orebrö, Sweden. If you are a fan of Heavy, Thrash and Power Metal, you should check out this band. Thanks for featuring! We're getting great responses!